we all suffer from changing passwords of cracked accounts from noobs as they already have account email and password and they could change account information at any time . 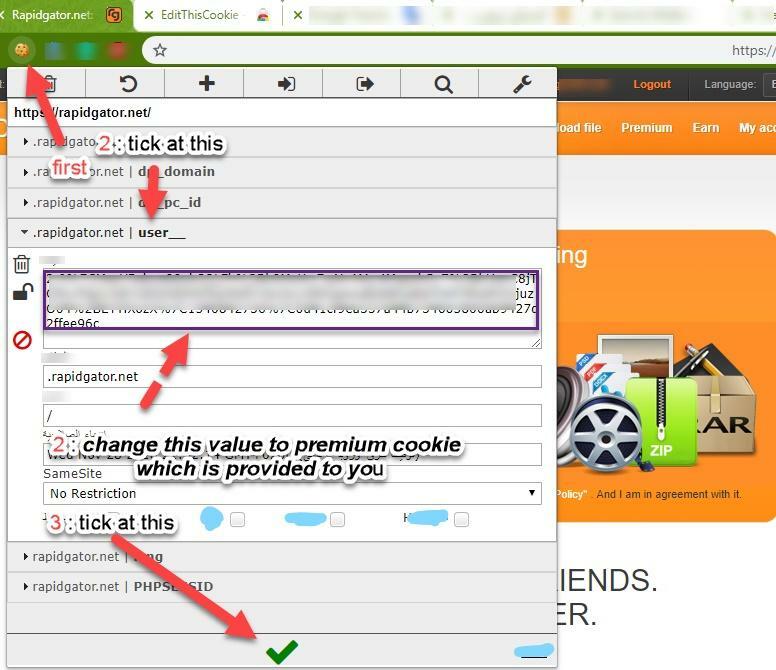 second : we will test cookie for rapidgator.net as an example which is premium but we should use free account first on rapidgator , ok let's try . then : go to my account / profile , you will get premium account .